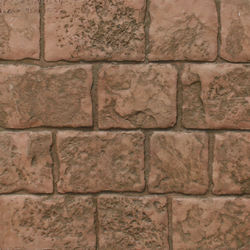 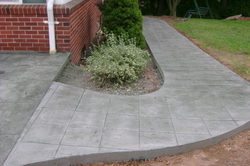 Here are some of the many patterns that Concrete & Masonry offers. 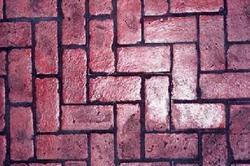 Please take your time, its very important to choose the right color texture and pattern. The concrete color depends on the type of color your house siding is, or if you already have an existing stone, brick or tile work at you house, near your patio, sidewalk, or driveway is going to be installed. 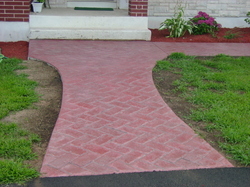 However one of our Concrete Professionals will be there to help you decide and choose the right color and pattern and DESIGN the shape of the project according to the existing house, based on on how old or how modern the house is. 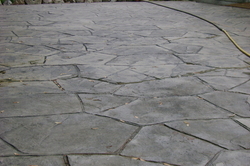 Patterned concrete is designed to resemble brick, slate, flagstone, cobblestone and other patterns. 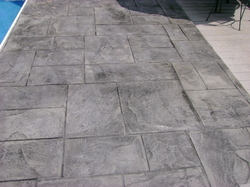 These natural stone looks are costly and require more upkeep than patterned or stamped concrete, therefore making stamped concrete much more economical and still capable of achieving a desired look. 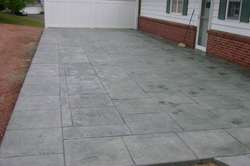 Because concrete is the most often installed surface for driveways, courtyards, and patios, stamped concrete is a popular application for creating a feasible and unique design. 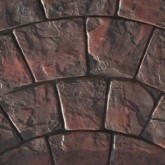 Some of the most popular concrete patterns are cobblestone and ashler slate. 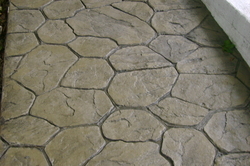 Each decorative concrete contractor has their own stamp patterns based on what has been the most popular in their area.